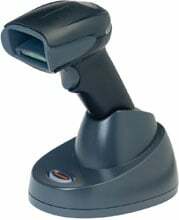 Honeywell Xenon 1902 - USB Kit. 2D Imager, Standard Range. Includes charge and communications base, and USB cable. Color: Black.